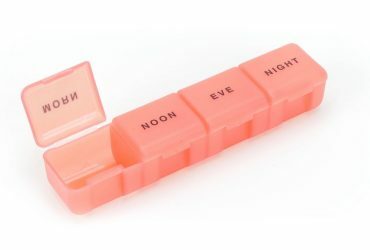 Pill box with twice daily dose including, morning and night dosage. 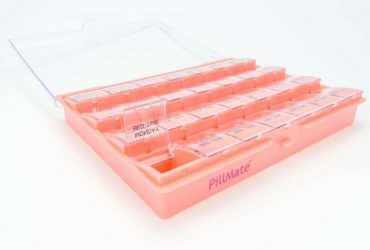 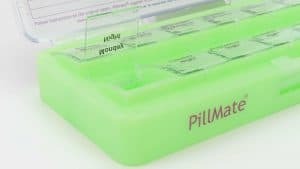 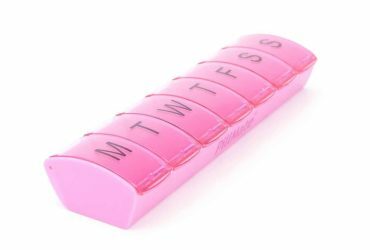 Our twice daily pillbox has large segregated compartments for your two daily doses and allows for a weeks supply. 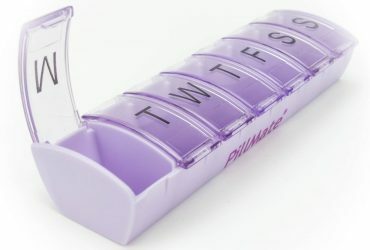 The compartments are large in size and so can hold a large volume of pills. 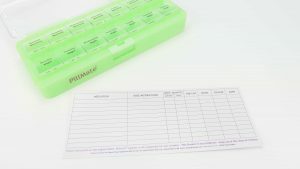 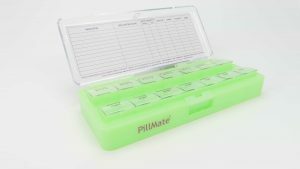 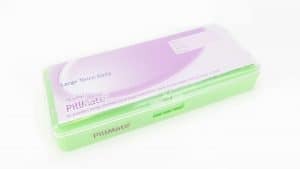 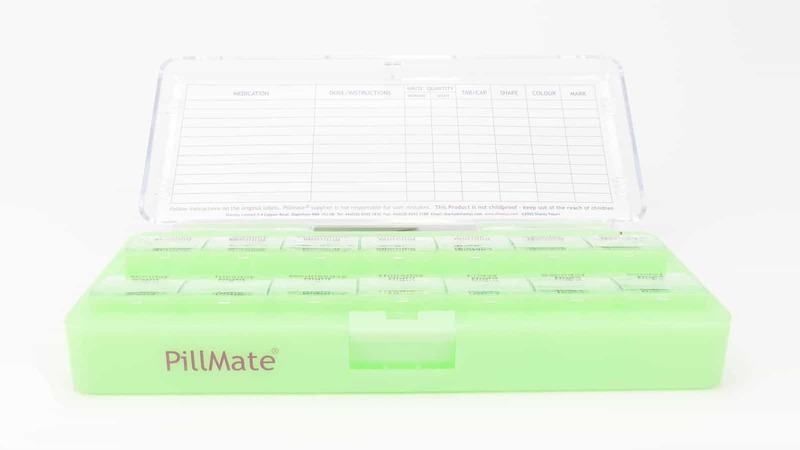 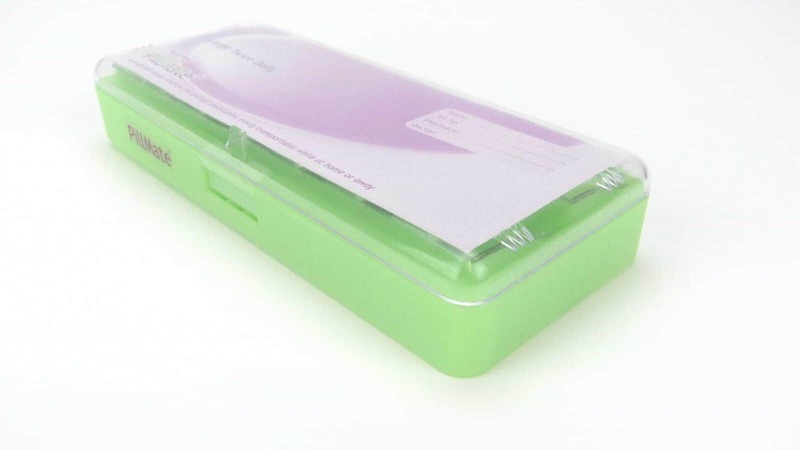 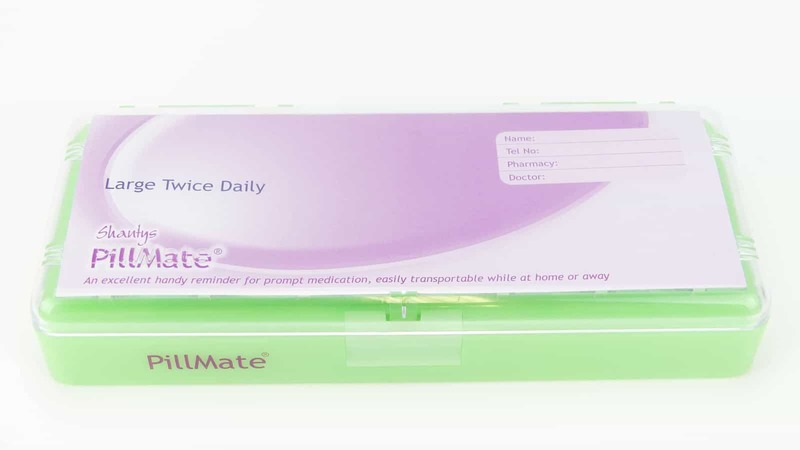 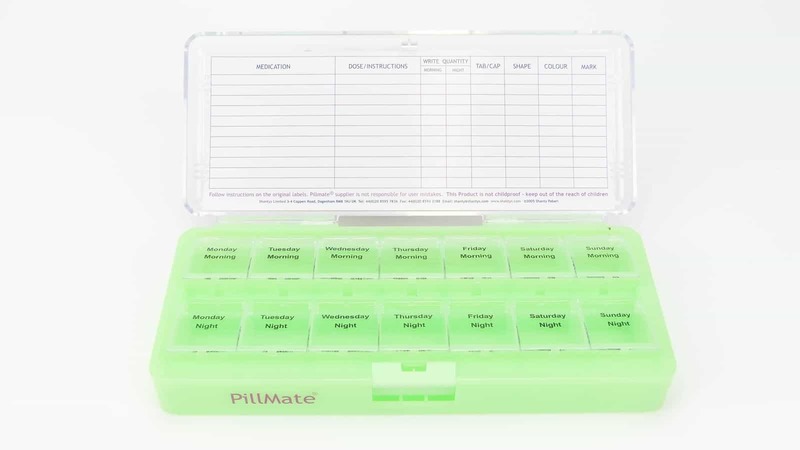 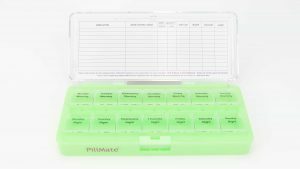 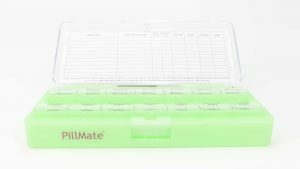 The pill box comes with a dosage recording card to keep medication on track. Large size pill box allows up to two daily doses, including morning and night. 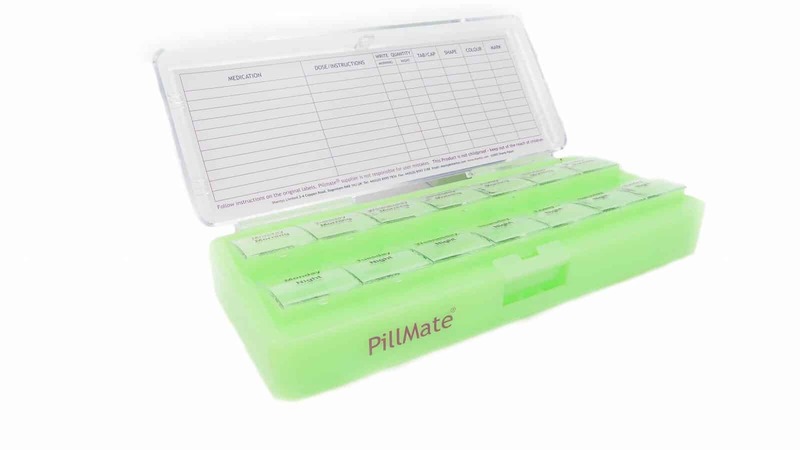 Durable construction with a large container lid and individual compartment lids. Also includes a medication does record card.